With the event of mixed martial arts (MMA) becoming mainstream in the media, more and more people are looking to martial arts and self-defense classes as an alternative to the usual gym and fitness routine. At Zachary Martial Arts & Leadership Academy, we have been training in and teaching martial arts long before the media hype. We proudly bring forth this tradition to new generations of martial artists by offering a variety of classes to our students. Martial arts is a great fitness solution for busy adults looking to get shape and relieve stress. Learning to defend yourself is just one of the great benefits of martial arts training. Aside from the great bonding experience that comes with training in a team environment, the mental benefits are a great solution to the daily pressures that jobs, school & family life often cause. Whether you're interested in physical fitness, self-defense, or even just an athletic social outlet, our school is a safe and positive environment. We provide a fun, activity-driven atmosphere where those with common interests can join together in physically rewarding and mentally challenging activities. We guarantee that you will leave every class sweating and smiling! There are four goals in a sparring match: be safe, do your best, have fun, and, of course, win. Be sure to introduce yourself to everyone in your ring. If you plan to participate in other tournaments, you will likely see and compete against these people again. Many people usually have more fun sparring with people they know. ATA's primary goal for its students in sparring matches is to be safe and have fun. While sparring is ideally noncontact, contact does frequently happen. It's up to you, as a competitor, to ask the judge to keep the contact down if you feel it's too much. Competitors must wear all appropriate and approved protective equipment. Tap into Ground Fighting, the hottest fitness program that truly teaches self-defense for the real world. You’ll learn to how to target attacks to the body’s most vulnerable points, so that you can defend yourself as quickly and efficiently as possible. Training can also cover situational awareness to develop an understanding of one's surroundings, learning to understand the psychology of a street confrontation, and identifying potential threats before an attack occurs. It is perfect for those that are looking to improve their self-defense skills or those that just want to get into the best shape of their lives. Burn up to 800 calories an hour! World class fitness instruction, self-defense training & a ton of fun! You'll look GREAT & feel FANTASTIC! ATA FIT is a workout that readies the body for virtually any physical activity. It can be adapted for anyone from pro athlete to non-athlete. Most other training programs work on cardiovascular endurance and/or strength training, but ATA FIT develops flexibility, power, speed, coordination, agility, accuracy and balance – the whole package. Do you have the desire to make a long-term career in the martial arts? Are you in a profession that would benefit from enhanced leadership skill training? Have you mastered the ATA Leadership Program and are looking for that next level in developing yourself into a life changing leader? 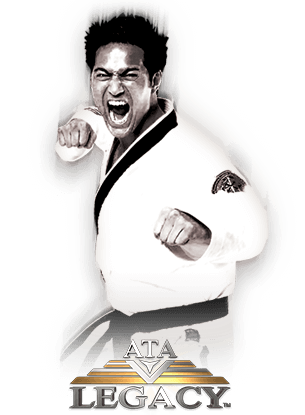 The ATA Legacy Program is the top level of training the ATA has to offer and will take the physical and mental skills a student has to new heights. Not only will students train and grow, but they will learn how to pass that knowledge on to others and create their own Legacy. It is the perfect blend of personal development and physical training specially targeted for the elite student.